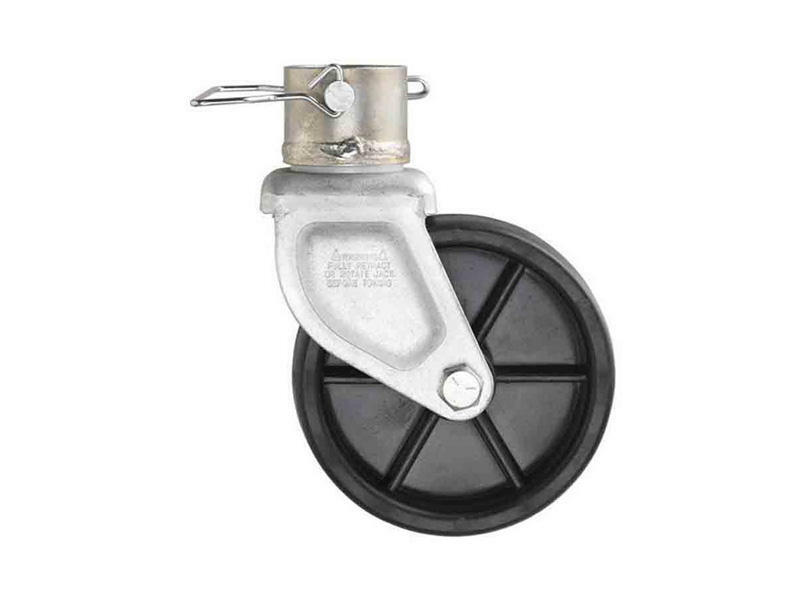 6 inch thermoplastic wheel with zinc plated bracket fits round tube jacks with 2 inch O.D. inner tube. Retaining pin included.